 Joshua P Warren's account of the laughlin trip. In February, 2009, I spoke at the International UFO Congress in Laughlin, Nevada. 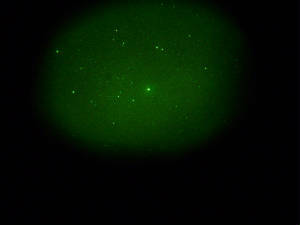 On the night of Monday, February 23, 2009, I went into the desert, outside of Laughlin (a pull-off on Davis Dam Road), with Ed Grimsley's team and viewed the skies through 3rd generation night vision. The main group from the conference was gone. After Ed himself headed back to the hotel, there were only four of us present: myself, Will Beckwith, and Maryland Investigators Dean Warsing Sr. and Jr. Between 9 and 10pm, something very strange appeared in the sky. I was the first person to spot the bizarre UFO that parted the night sky, then Will and Dean Sr. saw it, too. It was an enormous v-shaped formation, probably too high to be conventional aircraft (since, according to Ed, at that time of night, in order for the sun to reflect and give us an IR signature, they would need to be nearly in space). The large formation, with a smaller one above it, was moving at a slow, steady pace--SE to NW, in the direction of Nellis Air Force Base. After seeing this, Ed said this is a perfect representation of what he's seen on many occassions over the years. He claims this is a formation of spacecraft guarding earth from attack that might come in from outer space.